There are a lot of these items that can have multi-purposes and since Smith Optics is already well established in the Ski and RX eyewear market, it’s an easy add on to be in the Military and Law Enforcement market. I have been wearing the Smith Optics Elite brand for over 4yrs and I am very happy with their Warranty and products. Ballistic eyewear should be viewed in much the same way that body armor is. Even though a company may put a rating of protection on their product it doesn’t mean that it is going to hold up to that. You have to remember that quality control is a big part of putting a top of the line brand out there and if they cut corners, and you’re the person that finds out about it at the wrong time, you be spending the rest of your life with that injury. The ANSI Z87.1 rating is much higher than what other brands claim and I’ve heard enough war stories about people losing an eye when an IED went off 100yds away that this is something you just don’t skip. Even in competition sports, fragmentation occurs and having full coverage is very important. The Smith Elite Boogie Sport is something that I do pack away in my range bag when I know I’m going to be on the move, and it is a far superior design to the Boogie Regulator which from my point of view is on it’s way out the door. The straps on the Boogie Sport are more comfortable and the venting is much better. I’m a big fan of the ignitor lenses and often have to explain to people why the red tinted look is very good for range use. It helps eliminate glare and also cuts through air on the hazy humid days. For $60 there is little to worry about for sizing, just do some research on what lense color you want. Some of the cool things about investing in a decent pair of ballistic sunglasses is that you don’t need to remember to bring your safety glasses with you. I do own some of the non-ballistic Smith Optics sunglasses but if you pick out the correct fit with the Smith Optics Elite product line, you might get the best of both worlds. We are a full line Smith Optics Elite dealer as well as a Smith Optics regular line and there are a lot of options you can consider. The newer Pivlock design can also cross over to be your every day eyewear and with the interchangeable lenses and the clam shell kit they come with, you can change up the lenses depending on the driving trip you are taking. We keep a lense spectrum display in our store so customers can see the benefits of having more than one lense color because there are dramatic visibility differences between the ignitor and polarized eyewear. 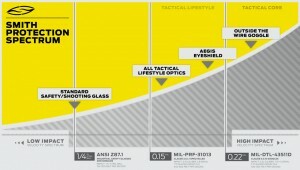 When you get into ballistic ratings, you are best to stick with major brands, there are a lot of suspect ballistic vest manufacturers with horror stories about ratings not being worth your life, but when you want to talk about eyewear, your best bet is to stick with companies that know what they are doing. Smith Optics is a top tier eyewear company and there are big differences between fit and visibility and you are going to want to stop in our store and try them on to make sure it suits your comfort. All of the Smith Optics Elite Sunglasses meet or exceed the Meets ANSI Z87.1 ballistic rating and if you are are a competition shooter you’ll know the importance of using safety glasses while shooting on a steel range. If you tried out the Smith product line in the past and we’re happy, take a look at them again because the product line has dramatically grown. Sometimes people get sticker shock when they see some of the prices on ballistic eyewear, but we always have to remind people this is insurance for the “what ifs” that can and do happen. There are many combat veterans that are coming back with damage to their eyes due to fragmentation that occurs when bullets fly and bombs go off. In the real world, a small fragment of rock or metal is all it takes to alter your life and wearing cheap stuff to the range that people use for weed wacking. I actually ran into some local customers recently that were wearing Smith Optics Elite Sunglasses on a Sunday trip to the local hardware depot because they were wearing them while doing lawn mowing and yard work, that’s getting your moneys worth! In the real world of Law Enforcement, shooting ranges, and Military Operations, there are a lot of issues with fogging with eyewear from ballistic goggles, to Eyeshields. In extremely active situations that is something that can as does occur and I have reports from many of the S.W.A.T Teams that operated during the aftermath of the Boston Bombings that had major complaints about moving from exterior to interior situations and ended up throwing there goggles off because they couldn’t operated proficiently indoors with the eyewear on. Goggles can be very clunky and also have a lot of blind spots due to the frames being so large so the reality is that ballistic protection with high visibility is really the best thing to look for. The new Smith Elite Pivlock has two lense sizes, the Pivlock V2 and the Pivlock V2 Max, check out the Youtube.com video attached to the product to see how easily the lense interchange and the lense and kit options. There are plenty of brands out there to choose from, WileyX, ESS Eyewear, and Revision Eyewear, Smith Optics jumped into the fold with the Smith Elite Military and Law Enforcement products but just like clothing, shirts, vests, pants and footwear, everyone is different and it’s so hard to know to get unless you can walk into a store and try them on. If you are not on a SWAT Team and do not have to wear full coverage googles, the Smith Elite Sunglasses are worth checking out. If you notice in many of the Iraq and Afghanistan photos of our soldiers, many of them are wearing eyewear and the smart ones are wearing ballistic sunglasses. The standard you want to check on any eyewear for ballistic protection is Ansi Z87 ratings, according to Smith Optics their sunglasses exceed that rating. There are plenty of horror stories of IED’s going off and people losing an eye 100yds away due to fragmentation. If you have ever been to a firing range and had to sight in a rifle and hit below a target, you would see fragments of dirt and rock and possible a bullet key-holing, so you can see how much material that can cause damage just from one bullet. Goggles are somewhat of an annoying thing to me and I’d avoid using them in most situations because the protection they give is higher than sunglasses but they tend to fog up under stressful situations and trying to keep that much of the glass scratch free and smudge free so that your vision is not inhibited is a hard thing to do. One major selling point I’d made with the Smith Elite ballistic eyewear is that it it is hands down the easiest to clean compared to other eyewear. I’ve had some of the Edge Eyewear in my rotation and although they have some cool flexibility and anti-fog abilities, whenever I got a smudge on them they were not easy to wipe off at the firing range when all of my Smith Optics Elite eyewear wiped perfectly clean with the Smudge Buster rag that Smith Elite sells. There are plenty of ballistic eyewear options out there from ESS and WileyX and I have used several of them in the past but always eventually lost them or when they got scratched up I just tossed them. There’s nothing worse than have protective eyewear that is there to protect you from protectives but it’s got scratches or smudges on it that inhibit your ability to see clearly. I have friends that tell me they don’t like buying expensive eyewear because they end up getting scratched and wear out just as fast as the cheap stuff. We’ll unless you are only driving around with it in a car, if you don’t stow it in a proper case or watch where you put it down, that does happen and just like footwear and clothing, things are going to wear and need to be replaced. While I wouldn’t say the Smith Optics Elite boogie regulator and the newer Boogie Sport Goggles are for firing range use, they are a very inexpensive ballistic eyewear that you should consider in your range bag. As I sit here comparing the two Ballistic Goggles, the Boogie sport that is priced at $60 seems to just be $20 more for a more practical head strap. We’ve sold alot of the Boogie Regulators but many people came back for the Boogie Bungie Cord because the strap the Smith Optics Elite Boogie Regulator came with didn’t fit every head size or they needed a different strap to fit around whichever helmet they were using, which is actually the selling point due to it’s versatility with Military or Law Enforcement Helmets. There are so many helmet designs out there that certain eyewear just doesn’t cut it, and now that night vision is so common having a lower profile tactical goggle means less clunking and scratching. The Boogie Sport and Boogie Regulator areLenses meet US MIL-DTL-43511D goggle impact level so unless you need the Bungie Cord, the best first time buy should probable be with the Boogie Sport Goggles, and the next thing to consider would be whether you want a Clear Lense, Ignitor or Gray. 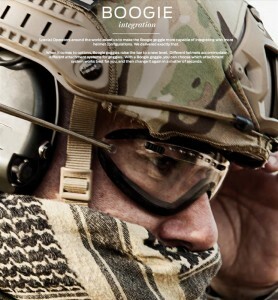 The Boogie Sport has Tan Strap, Black Strap and Multicam Straps. An excellent option for Airsoft Training. We have gone back and forth about which ballistic eyewear we should be carrying in our store because just like our tactical clothing lines, It’s hard to stick to one brand because there are so many preferences, seasonal changes and situations that one can be in that the same person make choose different brand shirts and pants and outwear. 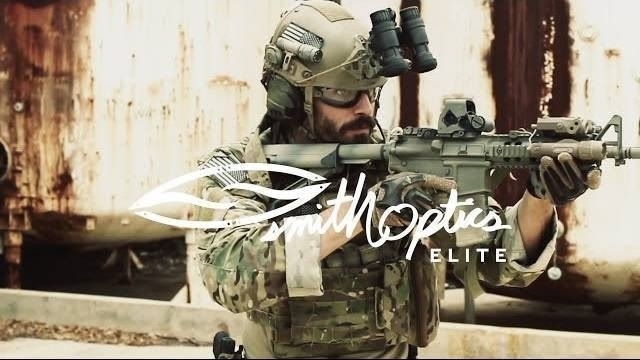 We always listen to what our customers are asking for and what we know is going to be a staple product line and with what we’ve seen in the last year, the Smith Optics Elite product line has become more and more accommodating to what our diverse customers need. The Boogie Regulator and the Boogie Sport can be had for $40-$60 for airsoft, paintball, motorcycle riding or jumping but that’s just the beginning. Dropping $80-$95 on a kit might sound expensive but always keep in mind the costs of mishaps on firing range, not only are medical bills going to add up, how life altering is it going to be if you loose an eye or loose a level of vision from just a particle getting into them. 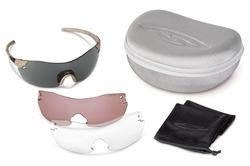 We all know how annoying and uncomfortable getting dust or an eyelash is but Ballistic Eyewear is just like putting on a flak jacket or stab resistant vest. If you are in a dangerous situation you need the right safety equipment and it’s not something to skip out on. 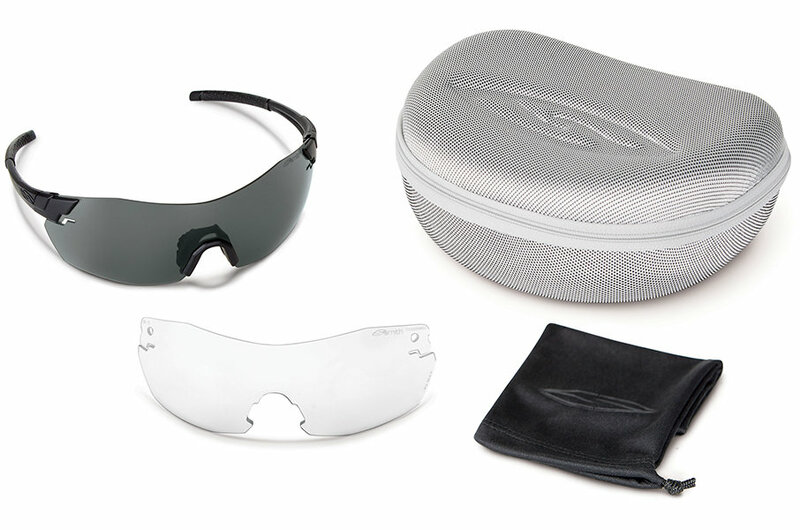 In the coming weeks we will have a fresh new product line from Smith Optics Elite that, if you checked them out before and it didn’t work for you, we have several new Protective Sunglasses and the Aegis Echo, and Eyeshields available in standard and Compact and now the new Boogie Sport and and Pivlock designs. Smith Optics Elite Division ballistic eyewear, why the cost? There are plenty of things in this industry that come with a heavy price tag but once you get into the technical details you’ll know why the costs are there. Our most expensive items besides firearm parts like AR15 upper receivers are the Trijicon Optics, most people think they are over priced compared to red dots, but if you logically compared Trijicon glass, the amount of detail in the reticles and why they are designed the way they are for various types of engagements you’ll see why you are getting far more than a zero magnification optic like an Eotech or an Aimpoint, if you don’t need it, then you don’t need it. The same goes for ballistic eyewear and $180 turbo fan googles. There are always things to prepare for and after my experience on firing ranges, I’ve seen things in recent years that never happened to me or anyone before. People with more experience than me probable see this stuff every year but for me it’s once in a 25yr cycle. I have had stovepipes, failures to feed, broken Mini 14 extractors, gas keys coming loose and people just stare at their guns and don’t have the slightest clue how to narrow down what is failing. In a real gun fight, that means if you don’t have a secondary firearm, you are out of the fight and your best thing to do is turn around and run. I have broken shell extractors, extra gun lubrication and sight adjustment tools and stock wrenches with me every time I go to the range. I usually end up helping someone else out with their “bad experience” but hope I’m just passing on the information so someone else can solve a problem quicker. Has anyone ever gone to the range and had to call it a day because their extractor broke, shell got stuck, or even worse, the gun closed on a loaded round and you couldn’t open the action? What about when you get a chip in your eyewear or some form of rock or lead flies up at you? Quikclot combat gauze is on me at all times for the really bad, but I learned my lesson about reloading and buying cheap surplus ammo and my Smith Optics Elite eyewear Aegis kit with different lenses for different lighting situations are also on me. The Aegis Echo, Aegis Compact and the standard kit as well as the Asian fit all have different frames but you’ll probable have to stop in our store to try them on so you know you have the proper design. There is a saying in the music industry that once you learn how a record is made, you’ll never listen to a CD, record or song on the radio the same way. In the firearm industry, once you become an NRA Firearm Instructor, you’ll never watch an action movie the same way either. We have several people in our customer base that travel around the world, Europe, Asia, North American ect, as a consultant on how the military or Law Enforcement should have their duty gear on, what color lights the Poli e use in different Countries and yes, even the sounds of the sirens. If an action movie involved a Die Hard movie where the LAPD had Police sirens that sound like they were in Paris France, somebody will call it. There are some pretty funny mistakes in some of these movies that you know the Directors didn’t know until it got out, check out “movie mistakes” and pick your Action Titles. I’ve seen Police Chiefs on National stages make inaccurate statements about the firearm in their hands, like calling for a National ban on assault rifles like this AK47, meanwhile, they are holding an AR15. In this industry you have to talk about what you know, and if you are wrong in your statements about tactical gear, especially on Blogs, Facebook or in a gun magazine, you’ll hear it. Things have to seem real in a good action movie. Ever see the 9mm gun brass on the ground during and after the Darth Vader entrance into Princess Leia’s ship? What about all of the wrong caliber brass falling from Neo’s gun? Now go find all the action movies where the SWAT Team all have their fingers on the trigger while they move in a stack. Ballistic Eyewear, frames and lenses, how do you decide? Many people I know go to gun clubs with inexpensive eyewear that they may have picked up at a hardware store because it was only $7.99 and they didn’t want to spend the money on something they hardly use. It still amazes me to this day the number of people that don’t where eyewear when shooting but I learned my lesson the hardware, or better yet, avoid serious eye injury. Years ago I had a magazine blow out on me on cheap surplus ammunition and if I hadn’t been wearing my WileyX ballistic eyewear I might have lost an eye. I’ve heard horror stories of soldiers in Iraq getting eyewear from family members or purchased themselves that they thought was ballistic but after an IED went off, they lost an eye. People don’t realize that in a major gun fight, fragmentation is a serious issue and it’s not only the bullet that can cause injury. Take a shot at a 300yd target with an AR15 about 3 feet in front of your target and watch how many fragments of stone, rock, lead, or steel will fly through paper. Our chosen ballistic eyewear has been the Smith Optics Elite eyewear and a large selection of ballistic sunglasses and tactical googles since many of the Elite Military have given us positive feedback. The Outside the Wire Turbo fan is probable the highest price ballistic goggles we sell but in most situations, having a fan vent out moisture is going to get you through the fight and not relying on a piece of eyewear to not fog up.